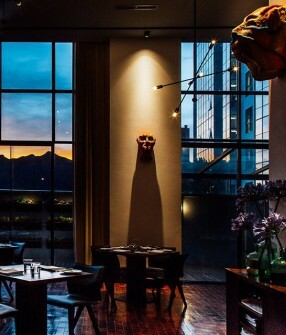 The stone comes from the village of Comanche, located 70km outside of the city, near the famous Puya Raimondii—a millenary bromeliad which flowers every 100 years. 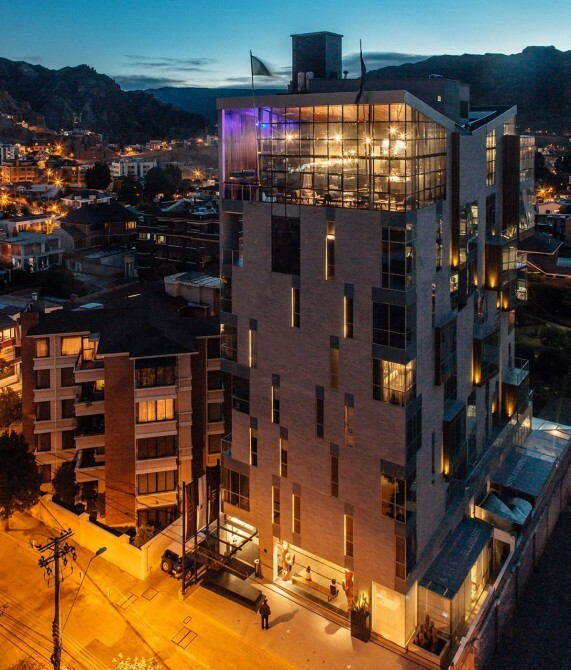 The enigmatic structure of Atix is shaped like a parallelogram, designed to create stunning bay window views from every angle, immersing guests in the surrounding Andean Valley. 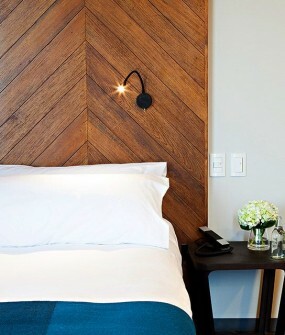 The hotel facade is clad in native Bolivian wood and Comanche stone, which paved the streets of La Paz between the 1920s and 1930s. 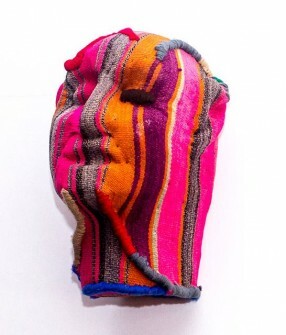 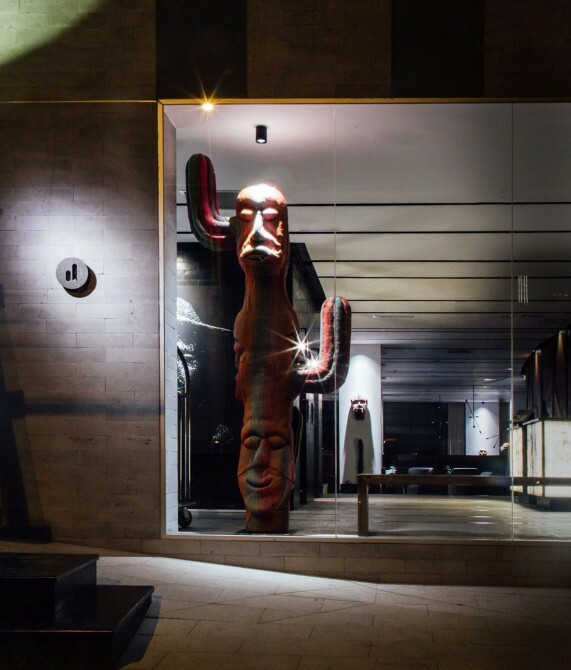 Conceptualized as a tangible celebration of Bolivia's cultural heritage, Atix Hotel acts as a showcase for contemporary art, photography, and centuries-old craftsmanship. 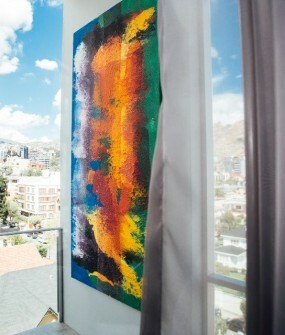 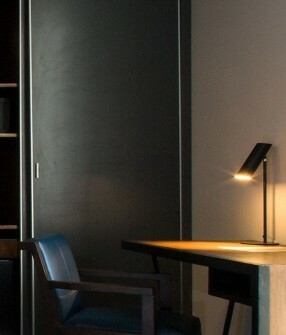 Public areas and guestrooms are dotted with original pieces by renowned artist and photographer Gastón Ugalde, who undertook a countrywide sabbatical to source inspiration for the commission.